When I first tried Pier 76 in Long Beach at its original location, I couldn’t get enough of the moule frites. 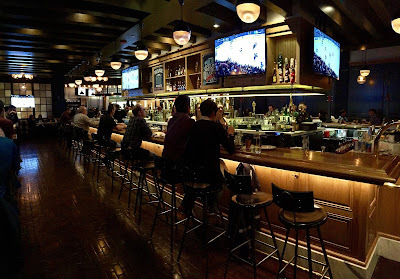 Here, finally, was a reasonably-priced, fast-casual seafood restaurant of the same bent as California Fish Grill that does it with the variety and execution of the higher priced joints where lobster bibs are employed. You could get the usual grilled fish plates and fish-n-chips, but there was also a raw bar that offered lobster, and oysters, and shrimp cocktail--the very same kind Walt’s Wharf in Seal Beach would serve. Walt's Wharf was, by the way, where owner and founder Chris Krajacic cut his teeth as executive chef before he started this place. Eager to repeat the moule frites experience, it was the first thing I ordered at the newly opened Pier 76 branch in Tustin. Unfortunately, it didn't measure up. It just wasn’t as good as the first time I had it. The mussels were chewy and the broth almost non-existent. But where there was disappointment, there was also discovery. Or rather, re-discovery when I tasted its poke. It was a version of the much maligned dish that reminded me again how good poke can be when it’s not served in a DIY assembly line. The fish was albacore in nice big chunks; the sauce spot on perfect. A blend of shoyu, sesame oil, and possibly sugar, it was balanced between the salty, the savory, and the sweet. Most importantly, the sauce was allowed to marinate the fish so that every cold bite exploded with flavor. There were cucumbers for crunch and onions for spiciness, but that was it--it was all that it needed. 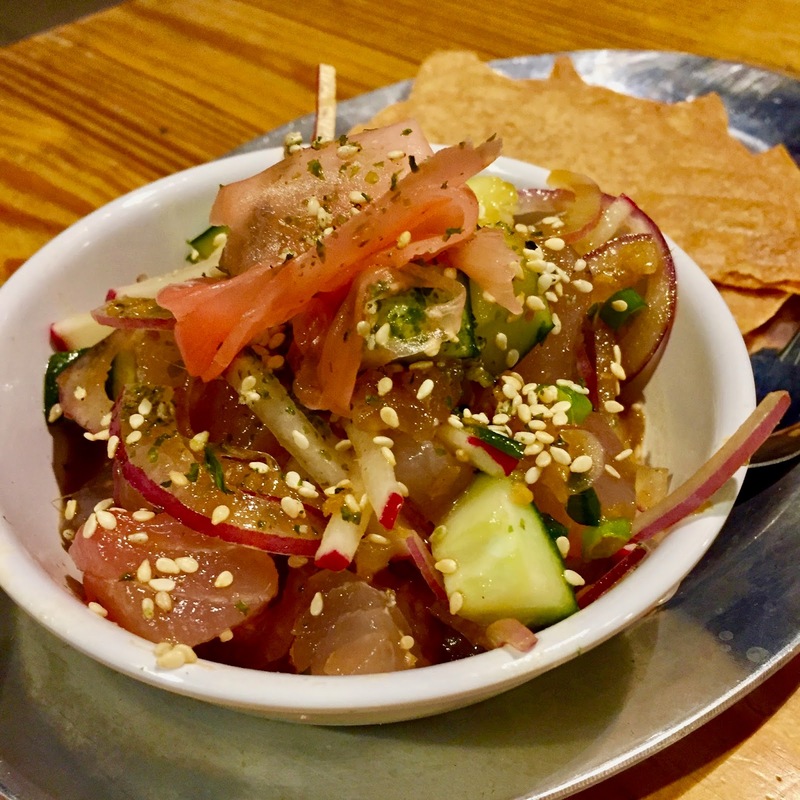 Served with either tostada rounds as an appetizer or in a rice bowl for a buck more, it is the poke benchmark that all should strive towards. Now, if only they can just do something about those moule frites. 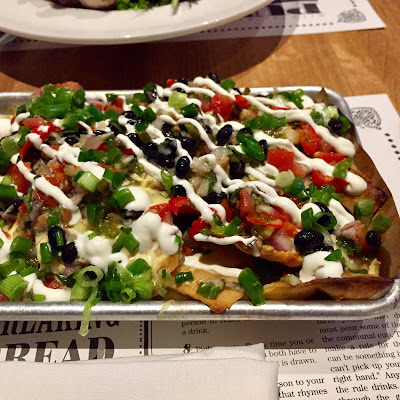 I haven't tried all the nachos in Vegas, but I am confident that if I did, I would not find one that will be as good or as generously portioned as Pub 1842's at the MGM Grand. 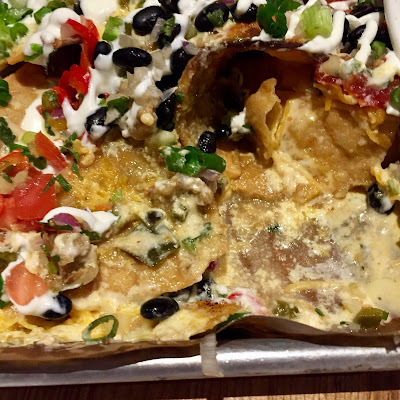 This, ladies and gents, is a nacho constructed unlike any other nacho. And I do mean "constructed". 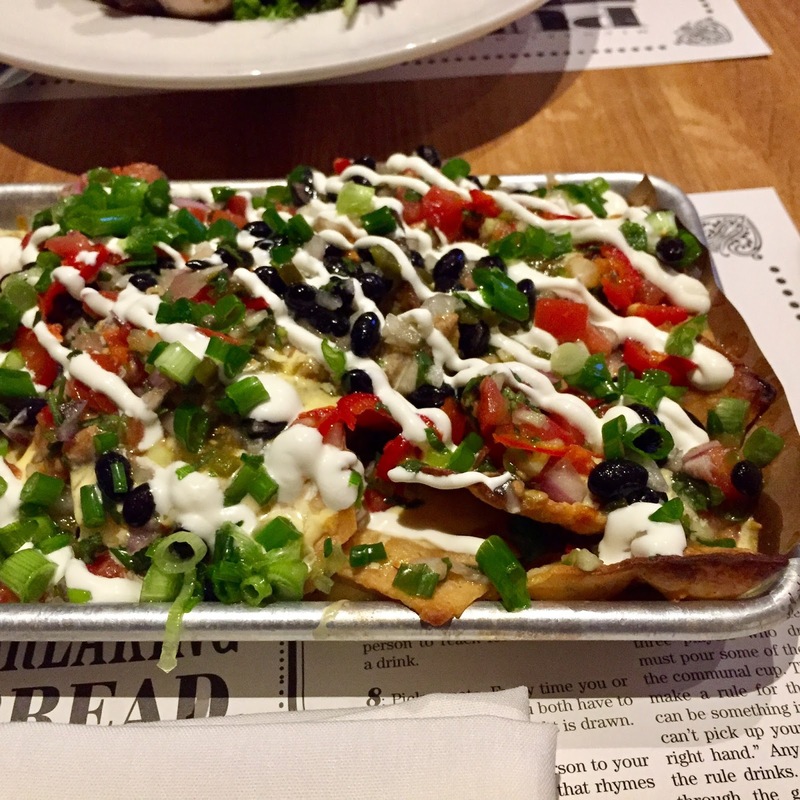 It's not just a pile of toppings dumped onto a mountain of chips; it's a pavement made of quality tortilla triangles layered carefully and deliberately with toppings so that every chip has its share of green chile verde pork, grated cheese, black bean, salsa and crema. Not a single naked chip is to be found. If it wasn't perfectly crunchy throughout, you could mistake it for a casserole crossed with a 7-layer dip, every topping ingredient top notch. This includes a nacho cheese sauce that I'm certain started off with a roux. 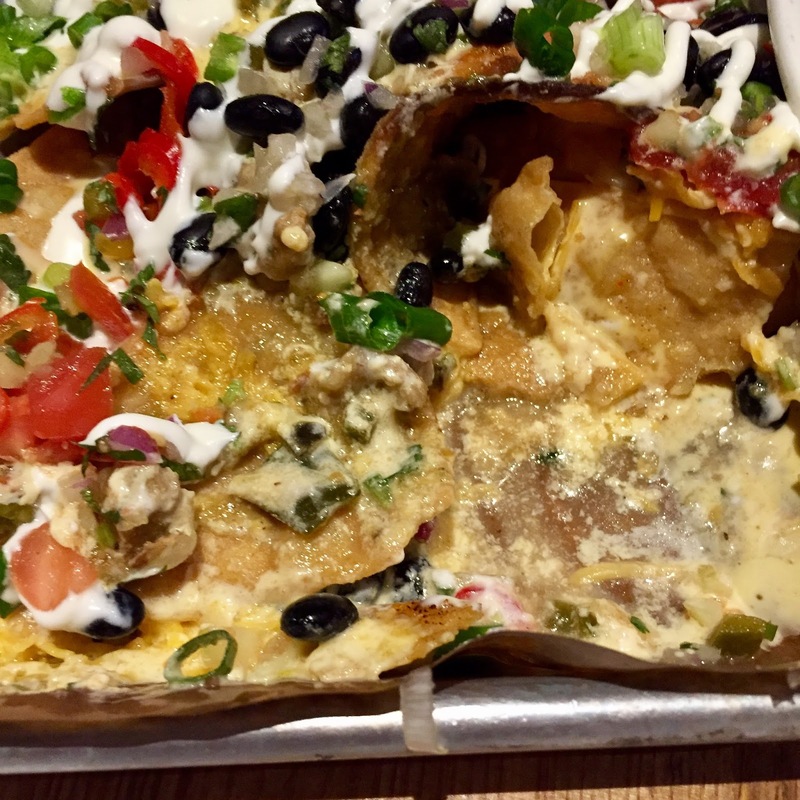 Because I knew that Michael Mina was responsible, I expected it to be great; but more than elevate what's normally late-night food for the drunkard, what he has done here is a great nacho that's also a great deal. What you see in the pictures here is the half order for $12, which is enough for two. But for $7 more, there’s the full order, which comes in a half sheet pan and can conceivably feed the entire cast of a Cirque Du Soleil production--at least the ones who eat carbs and cheese. 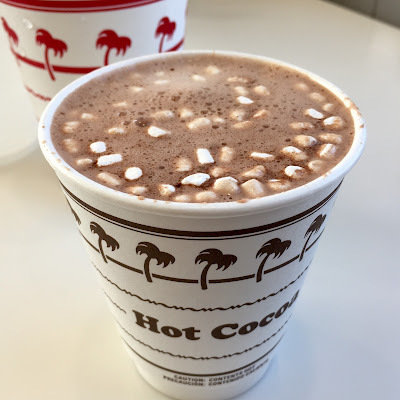 When I heard about In-N-Out adding hot cocoa to its menu, I considered it non-event. To be honest, if no one had mentioned it, I would’ve obliviously assumed it had always been there. And I would’ve gone on ignoring it for all the other reasons I go to In-N-Out. Hot cocoa, after all, is the Jan Brady of hot beverages. Coffee and tea gets all the attention. How often do you see anyone reaching for one of those Swiss Miss hot cocoa packets instead of the coffee and tea at office breakroom? And has any waiter in history ever offered hot cocoa after dinner at a restaurant? I pondered these questions as I tried In-N-Out’s hot cocoa for the first time. On my first sip, I decided if all hot cocoas were like this, things would be different. First of all, it’s thick, rich, and made with what I assume is whole milk. I didn’t drink it as much as I enjoyed it as dessert. It’s almost like a hot version of their milk shake. And as soon as I experienced the candy-like texture of its tiny floating marshmallows, I realized an hour on the treadmill would be necessary to work off the caloric content of this cup. But despite its potential of making me look like marshmallow myself, I loved it. And I especially like the price. In-N-Out currently sells its cocoa for $1.60, which, I don't have to tell you, is a fraction of the cost that Starbucks charges. Besides, only two kinds of people drink hot cocoa at Starbucks: children and sociopaths.